The children we work with and teach see the world from a different perspective. 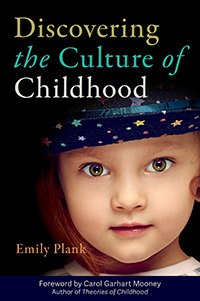 Begin to view childhood through a new cultural lens with author Emily Plank as she helps us understand the cross-cultural relationship between children and adults with her book Discovering the Culture of Childhood . 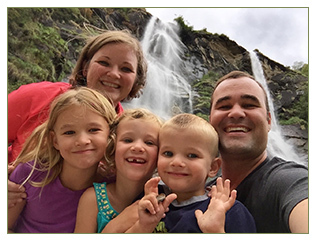 Learn more about Emily and how and why she decided to write about what the culture of childhood is and why it is so important for directing the way we care for and teach children. Learn more, and take a sneak peek of Discovering the Culture of Childhood. I graduated from Pepperdine University with a crisp new teaching credential and a love for the classroom. 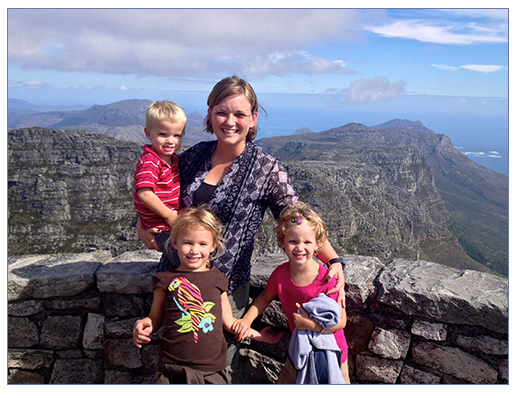 After five years of wonderful years as a middle school math and science teacher, I discovered family child care. For the subsequent decade, I wore many hats in the field of early childhood education, including practitioner, consultant, and mentor. I began blogging as a way to tell the story of my work with the families of the children in my care, but one day, I opened computer to find that a post I had written had gone viral. 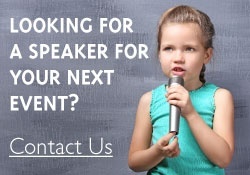 I discovered a love for writing to a larger audience of adults who care for young children. Through blogging, I found my voice as an author, which ultimately to a partnership with Redleaf. How did you decide to write Discovering the Culture of Childhood? That is quite a story! One of the popular blog posts that I wrote long ago was “The Ten Commandments of Play-Based Learning,” and as I contemplated writing a book, I imagined that a book in the same vein would be an interesting contribution to our field. For two years during the children’s naptimes, after work in the evenings, and on weekends, I started working to transform this short article into a full-length masterpiece about the pillars of play. I bought a guide called How to Write a Book Proposal and I solicited ideas from my fellow authors about how to transform a book-dream into a book-reality. I worked on my proposal, but I found I was stuck; some of what I originally envisioned for my blog post seemed insufficient for a whole chapter. Then my family traveled to Japan and I had a moment of inspiration. While riding an escalator in the underground metro system, I reflected on my place as an outsider to the Japanese culture. My gaze shifted from my young children to the Japanese and back, and by the time we had moved from one floor up to the next, I had an idea: many of the interactions between adults and children are strikingly similar to cross-cultural interactions I experienced as a foreigner in Japan. What if adults and children represent different cultures? At the time my idea was only one chapter of a book about play, but eventually it grew legs of its own and became this book. Tell us about Discovering the Culture of Childhood. How does this resource help early childhood professionals work better with children? The field of early childhood education and greater society at large operates with a faulty understanding of children. Unconsciously or otherwise, we imagine childhood as a biological state of “un-adulthood,” a fluid time of “not yet.” Children are defined by the fact that they will change. We probe new parents for the stats on their babies: “Is he walking yet? Sleeping through the night yet? Eating solid foods yet?” We talk about undesirable childhood behaviors as just phases that children will outgrow. We structure our early childhood programs for the kindergarteners that our children will become rather than the 2- and 3-year-olds they are today. In order to make meaningful changes in our early childhood programs, we need a new lens for understanding childhood. In my book, I define a new lens that has the power to reframe the way we design early childhood programs and interact with young children. Childhood is not just biological; childhood is cultural. Understanding childhood as a culture creates a powerful shift in the ways we work with young children. Two years ago, I moved to Switzerland (the French-speaking part) with my family, and that reality shapes most of my days. Before we moved, I spoke no French, so I am taking classes and working with a local language partner to learn. My children (ages 5, 7, and 8) are attending our neighborhood school entirely in French, and they are gaining linguistic fluency very quickly. When I’m not writing or preparing workshops, my days revolve around my children’s schedules: walking them to school, responding to teacher request and birthday invitations, making doctor and dentist appointments…but it’s all in French, so there is a layer of complexity in each interaction that wouldn’t be present if I was working in my home culture and language. I am headed towards graduate school so I can eventually teach and research at a university level in teacher-training programs, and on a personal level, one day I want to ride the Trans-Siberian railroad from Moscow to Beijing through Mongolia. I lived on a ship with my family when my children were 2-, 4-, and 6-years-old as a part of a University study-abroad program called Semester at Sea. We sailed around the world from San Diego, California, around Asia and Africa, and we ended our voyage in London. During that time, we visited 16 different cities in 12 different countries. Learn more and see a full list of titles by Emily Plank.